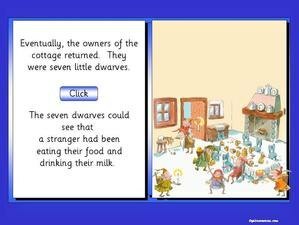 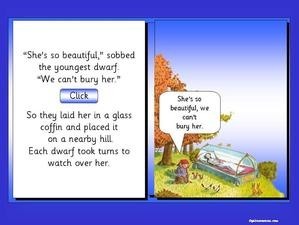 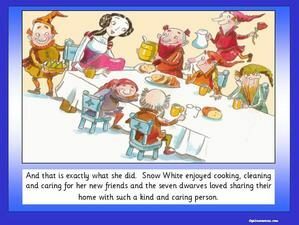 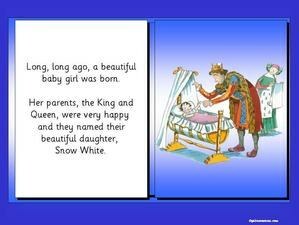 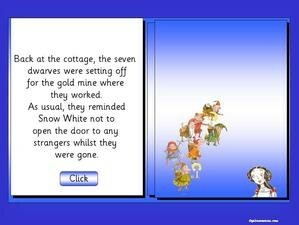 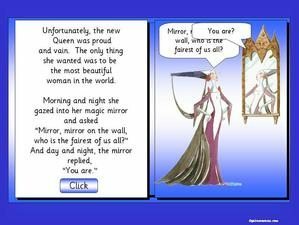 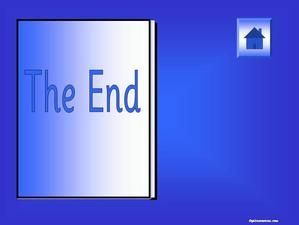 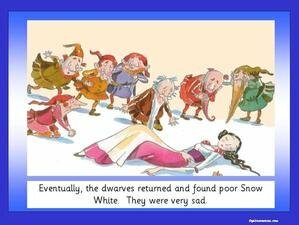 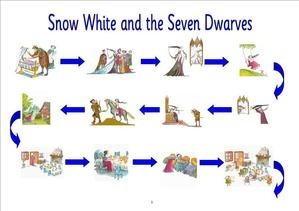 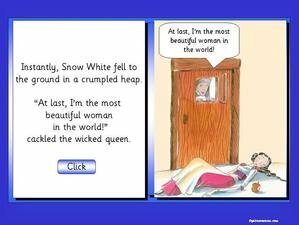 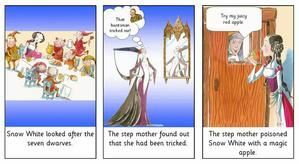 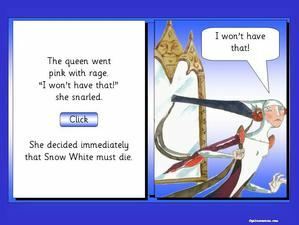 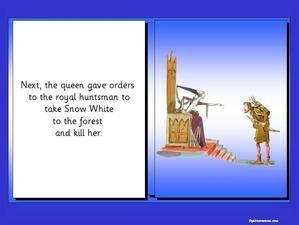 A Powerpoint presentation of the Snow White and the Seven Dwarves fairy tale including action buttons, animations and sounds and using the same simple story language that has been used Story Pathway, Story Mat and Story Sequencing cards shown below this powerpoint. 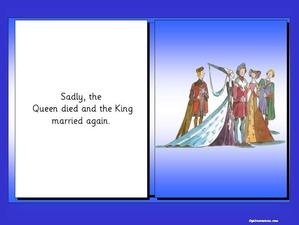 Please click here to view sample slide in action. 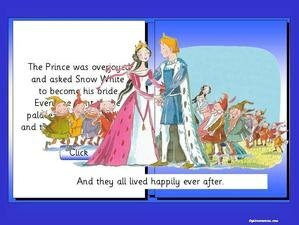 Slides 1 and 2 -A story pathway using the same pictures as the Snow White story presentation. 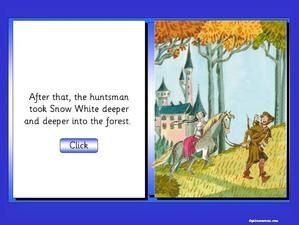 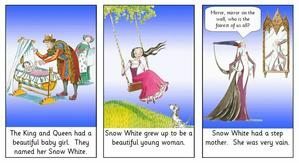 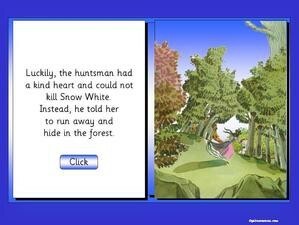 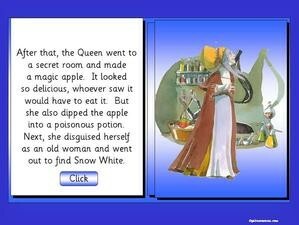 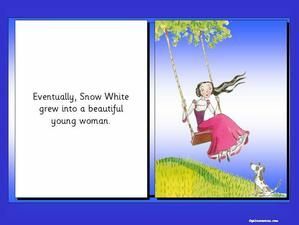 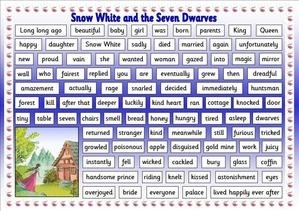 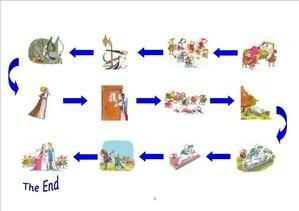 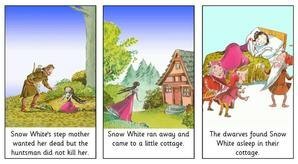 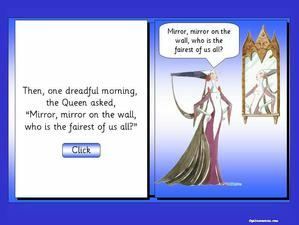 Slide 3 - A story mat using the same language used in the Snow White story presentation. 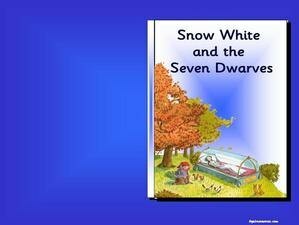 A very useful Snow White activity pack is also available as an ideal supplement to this product. 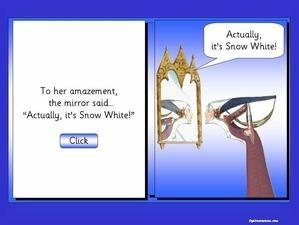 If you are interesting in purchasing this product and our Snow White Activity Pack, they are a little cheaper, when purchased as one product.